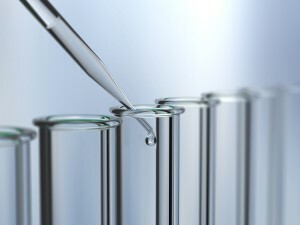 The United States Environmental Protection Agency (EPA) has developed and approved laboratory testing methods to be used in the analysis of wastewater, drinking water, sediment, and other environmental samples that are required under the authority of the Clean Water Act (CWA) and the Safe Drinking Water Act (SDWA). These methods are published as regulations at Title 40 of the Code of Federal Regulations (CFR). The EPA publication SW-846 entitled Test Methods for Evaluating Solid Waste, Physical/Chemical Methods, is the Office of Solid Waste’s (OSW) official compendium of analytical and sampling methods that have been evaluated and approved for use in complying with the Resource Conservation and Recovery Act (RCRA) regulations. We provide water and well water testing in Medford and Grants Pass, OR and beyond. Various offices of the EPA publish laboratory-testing methods that outline procedure, equipment, documentation, and quality control requirements. Members of our staff at Neilson Research Corporation monitor changing regulations and adhere to the most recently approved standard methods. Wastewater, drinking water, sediment, and other environmental samples are handled and tested exactly according to the EPA’s published standard methods. IC uses a conductivity detector to quantify anions (negatively charged ions) and cations (positively charged ions) by selective absorption through liquid chromatography. High temperature plasma flame vaporizes a sample and trace metals are detected based on the optical emission of excited atoms. High temperature plasma flame vaporizes a sample and trace metals are detected based on their mass to charge ratio. Chloride salt is used to create ground state mercury atoms at room temperature, which are then quantified based the absorption of light by the mercury atoms. Colorimetric determination (concentration based on intensity of color change) is used to quantify a number of different chemicals including nitrate, nitrate, cyanide, and ammonia that may be present in a sample. A nondispursive infrared detector (NDIR) measures the carbon content and particulate organic matter present in water samples. It is commonly used to evaluate the effectiveness of drinking water treatment processes.